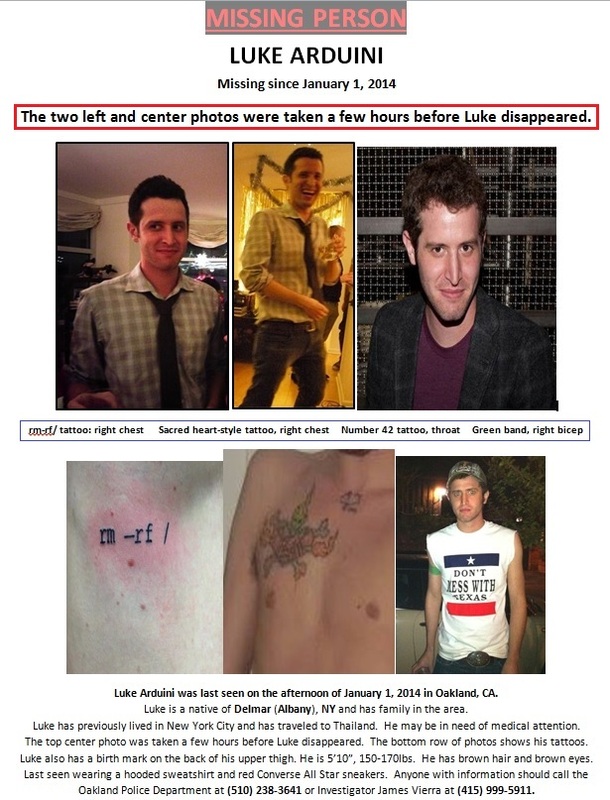 Luke is a native of Selkirk (Albany), NY who disappeared from the Oakland/San Francisco area of California. If you have seen him please call the police. You can also email me at cleigh@albanybroadcasting.com.